(CNN) - An Obama-era rule designed to help students cheated by for-profit colleges get relief on their education debt finally took effect Tuesday after efforts by the Trump administration to block it. A federal judge ordered immediate implementation of the rule, delayed last year by Education Secretary Betsy DeVos, while a challenge from the for-profit college industry proceeds. The Department of Education said Friday that it will not seek a new delay. Attorneys general from 18 states and the District of Columbia successfully sued DeVos last year over her decision to block the rule, known as Borrower Defense to Repayment, from taking effect. The judge sided with the states last month, but implementation of the debt-relief rule was delayed pending Tuesday's decision in the separate lawsuit brought by an industry group. DeVos has been widely criticized by Democrats and consumer advocacy groups for siding with for-profit colleges over students. She's hired department officials with ties to the for-profit college industry and plans to repeal another rule important to the Obama administration's crackdown on for-profit colleges like Corinthian and ITT Tech, which were accused of defrauding students and eventually shut down. Investors seemed optimistic about the future of for-profit colleges after President Donald Trump won election in 2016, sending their stocks up. Trump himself had just agreed to settle three lawsuits filed against his real estate school, Trump University. Those lawsuits claimed the program also featured false advertisements and empty promises. "Today's decision is a huge win for defrauded borrowers around the country," said Julie Murray, a Public Citizen attorney who represents two students involved in the litigation. "Industry will continue to challenge the rule in court, but we will work as long as it takes to defeat those corporate interests and an administration beholden to them," Murray said. 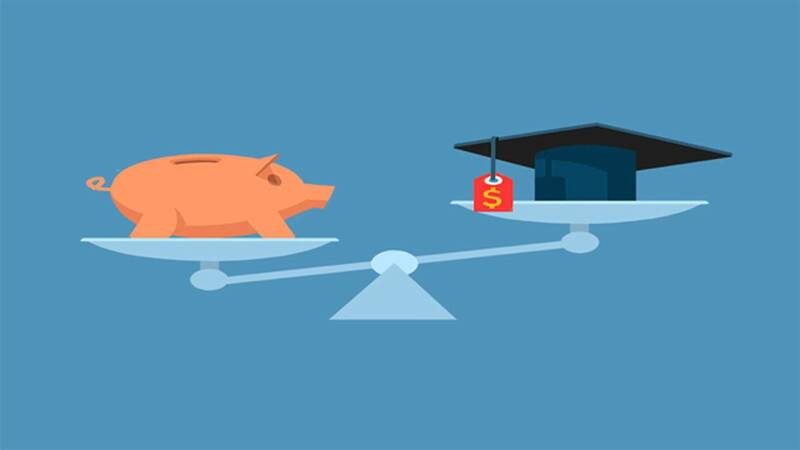 The Borrower Defense to Repayment rule will be in effect at least until the case, brought by the California Association of Private Postsecondary Schools, is settled. The regulation makes federal loan forgiveness automatic for some students who could not complete their education because their schools shut down while they were enrolled. Students are not eligible if they are continuing their education at another school. There are more than 1,400 schools that closed between 2013 and 2015 whose students may now be automatically eligible for debt forgiveness, according to an estimate by The Century Foundation, a left-leaning think tank. Some former students of Corinthian College, which folded in 2015, may be eligible. Before it collapsed, the for-profit giant was fined $30 million by the government for misleading prospective students with inflated job placement numbers. At the time, about 16,000 students were enrolled at its remaining 28 campuses. While the government did grant some debt relief while the rule was in flux, it's been a slow process. Nearly 48,000 claims had been granted, totaling about $603 million, at the end of June. About two-thirds of the claims had been granted under the Obama administration. There are currently 106,000 people waiting for claim rulings. Now the department must start processing Borrower Defense to Repayment claims under guidelines designed to make it easier and faster for students seeking debt relief. The rule prohibits colleges from relying on forced arbitration clauses or banning class-action lawsuits if they want to continue receiving federal funds. A spokesperson for DeVos said she "respects the role of the court" but still believes that many provisions in the Obama rule are "bad policy." "The department will continue the work of finalizing a new rule that protects both borrowers and taxpayers," she said. DeVos has proposed creating a new formula for granting partial loan forgiveness. Instead of wiping away a borrower's total student debt, it would cancel a portion of it, based on the income of students who graduated from similar programs. It could save the government $12.7 billion over a 10-year period compared with the Obama version.